The NFL Draft has come and gone. Four and a half months of pure hype, and now the ramifications of what the draft will bring football fans is still a long ways away. The only certainties that we know are where these players have all gone and speculations on why they went where they did. Also, there seems to have been a resurrection of sorts…but more on that later. Here is the list of Fighting Irish Players that were drafted, where they went, and the free agent signings for the guys not picked in the draft. By the way if any of you out there are an undersized, 4.6 + 40 yard dash running back… stay a 4th year in school. “Flipping Idiot!! !”- Napoleon Dynamite. Brady Quinn Cleavland Browns 22nd Pick. Unless you live on Uranus, you know all about the freefall of Quinn. How in the hell did he slip to 22? Miami fans are enraged and Cam Cameron does his best to pacify the horde of saltwater spewing Fin Fanatics as depicted in this video. This was not planned by the Browns, but there has been reports of Cleavland trying to trade up with Buffalo to take Quinn at #12. Completely contrary to what the Brown are used to, they got lucky and got a trade with Dallas to nab Quinn before K.C. Good luck to Brady in the Dawg Pound. Victor Abiamiri Philadelphia Eagles 57nd Pick. Round 2 for this domer. He fits in nicely with a good defense and can learn a lot while he is there. He was the 6th DE took and could of ended up in Chicago at pick number 62. Hopefully Philly doesn’t keep drafting DEs every year ala the Giants . (A Justin Tuck reference). Ryan Harris Denver Broncos 70th Pick. Ryan got the call while he was walking to Dairy Queen. He won’t need the extra weight in Denver. They plan on using his athleticism in their zone blocking scheme. If he can ever develop a pissed of mentality, he could do well as a Bronco. How nasty can you be with a Banana Split? Derek Landri Jacksonville Jaguars 166th Pick. I heard he could have gone earlier. Only 3 DT were taken after him, so good luck to you #66 at pick 166. Mike Richardson New England Patriots 202nd Pick. WOW. Mike has come a long way. He went from 1 star prospect out of high school, to horrible, to starter, to one of the reasons any school could throw for 300+ yards on ND, to decent, to arguably the best DB ND had in 2006, to drafted in the NFL. Good Luck Mike. Try covering Moss in practice. OUCH. Dan Santucci Cincinnati Bengals 230th Pick. I really didn’t think he would get picked… so kudos to you Dan. Nedu Ndukwe Cincinnati Begals 253rd Pick. Only 2 picks away from being Mr Irrelevant! Damn, so close. It all makes sense now. Cincy needs character guys in the late rounds. That is why Nedu and Santucci landed here. Nedu will be a special teams guy, because he does tackle very well and hits with some pop. Seven is a step in the right direction, but it could have been nine. The other 2… oh yea just a starting RB and WR on a deadly offense. It seems they were undraftable, but they are signed. Darius Walker Chicago Bears. Darius just became the poster child for anyone considering leaving school early despite the advice from EVERYONE not to do it. He should make the roster and be 3rd on the depth chart after Cedric Benson and Adrian Peterson. Not a bad situation, but it may get worse in a year. Good Luck Darius. Rhema McKnight New Orleans Saints. Rhema is in a tighter spot. I am really surprised he did not get picked, but if you can’t catch a 4th and 5 pas that hit you dead in the hands…you don’t get drafted. He has a lot of competition ahead of him as the Saints were loaded at WR and took another with their first pick in Robert Meachum. If he makes the roster, he will be lucky. Chris Frome Chicago Bears. In an unexpected turn of events, Frome was signed to a contract with Chicago after going undrafted and unsigned. 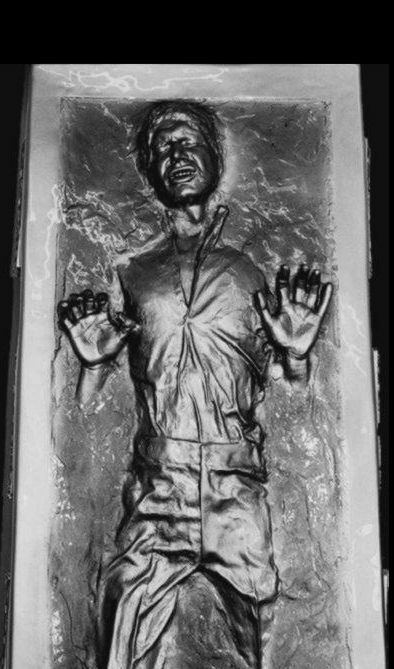 Word on the street is that Chris had been frozen in Carbonite and was quite safe as he survived the freezing process. No word yet if Emperor Weis or Darth Brown had any connection to Frome’s hibernation. I did pick up a few transmissions that he was sent to the Bears to protect the Princess. A.K.A. Darius Walker as he is already being called that by Urlacher. You are currently browsing the archives for the Free Agency category.